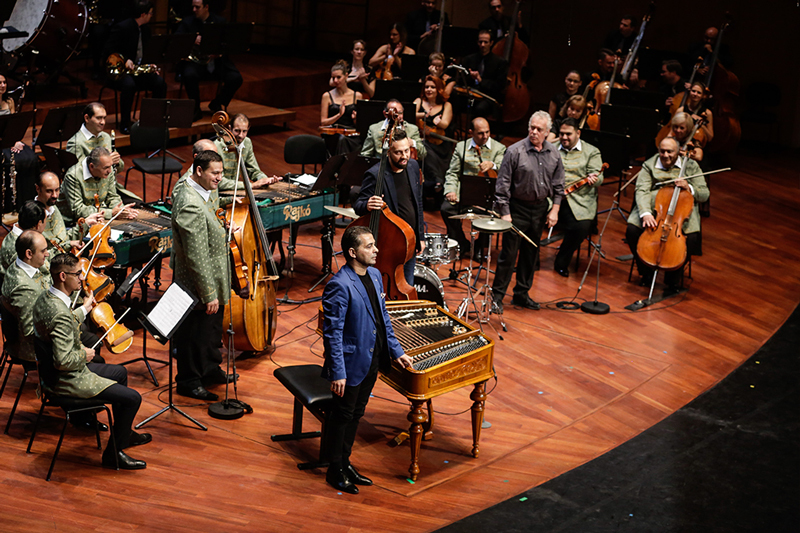 Rajko Orchestra was founded in 1952 by Pál Szigeti, director and Gyula Farkas art director, conductor. 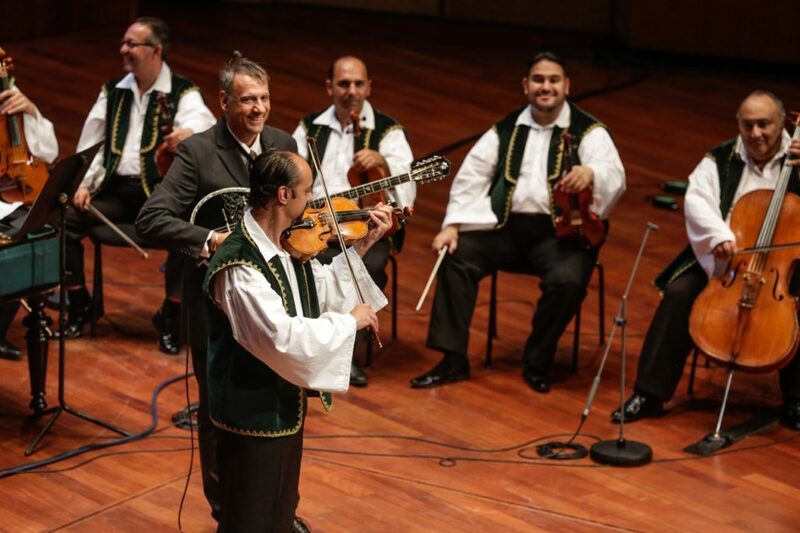 Their aim was to create the opportunity for young gifted Roma children from different parts of Hungary to be able to preserve and improve the traditions of gypsy music. The main objective of their work was to transmit gypsy music from pubs’ scenes to the great stages of the world. 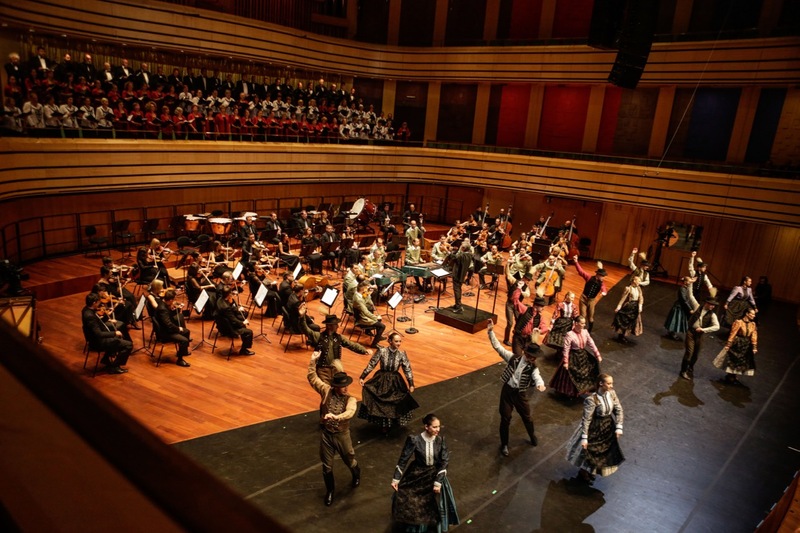 In the past 65 years thousands of young musicians have been educated in Rajko Orchestra, who represent values that are only represented by the Rajkos in Hungary. 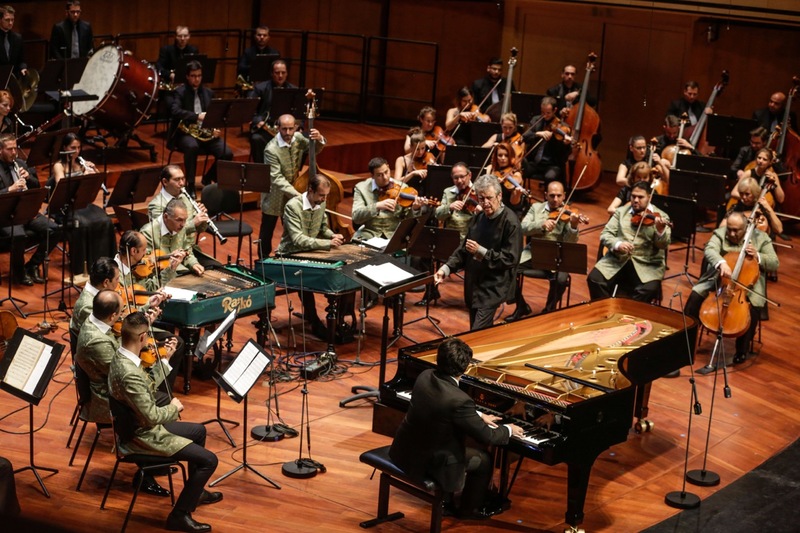 Several CDs, DVDs, videos and cassettes retain that huge music repertoire that is characteristic of the orchestra. 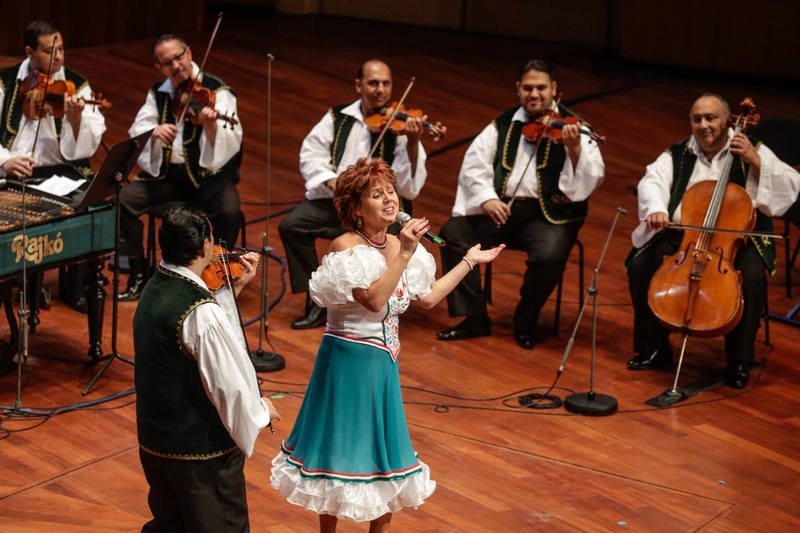 In that repertoire we can find classical music, folk music, gypsy music and operetta. We play music by Zoltán Kodály, Béla Bartók or Ferenc Liszt. 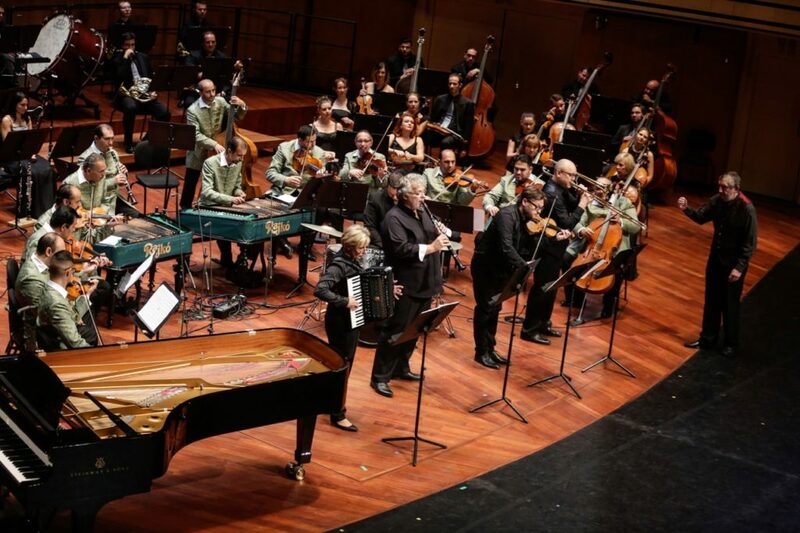 The orchestra’s unique talent is proved by special performances like the “Klezmer-symphony”, played together with the Budapest Klezmer Band, or the “Romantiada” production presented with Iván Markó ballet artist and the Festival Ballet in the Hungarian National Theatre. Our show called “Ancient Pulse” that lumps masterpieces of Irish and Hungarian folk dance together, and that we have composed together with Ronan Morgan choreographer, who used to be a soloist in Michael Flatley’s group. 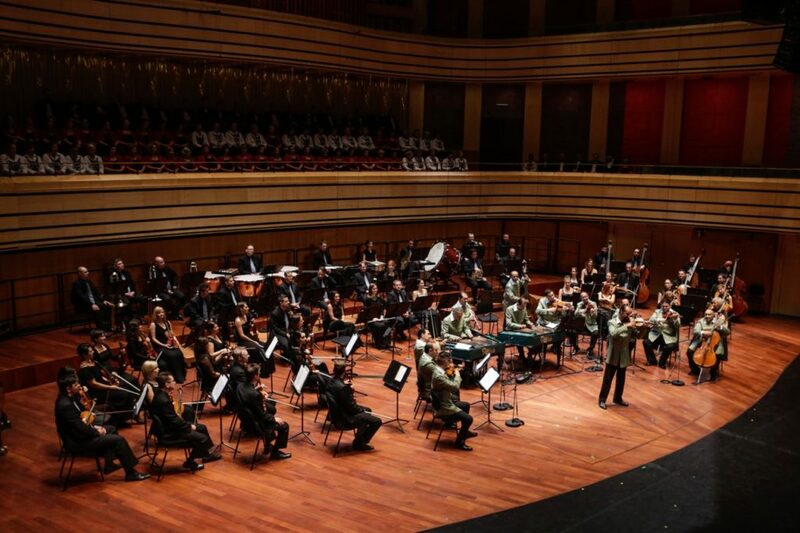 We have had several concerts together with the Dohnányi Orchestra Budafok directed by Gábor Hollerung. 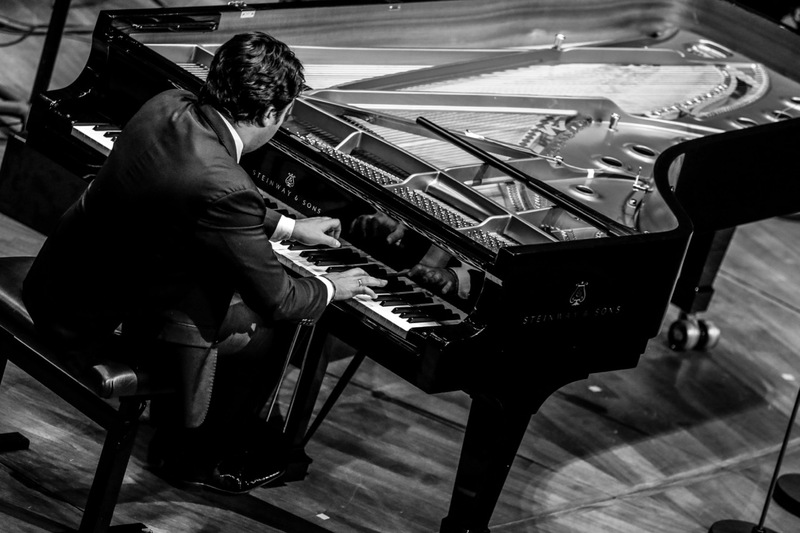 We have had a performance with János Balázs, a pianist with Franz Liszt prize. 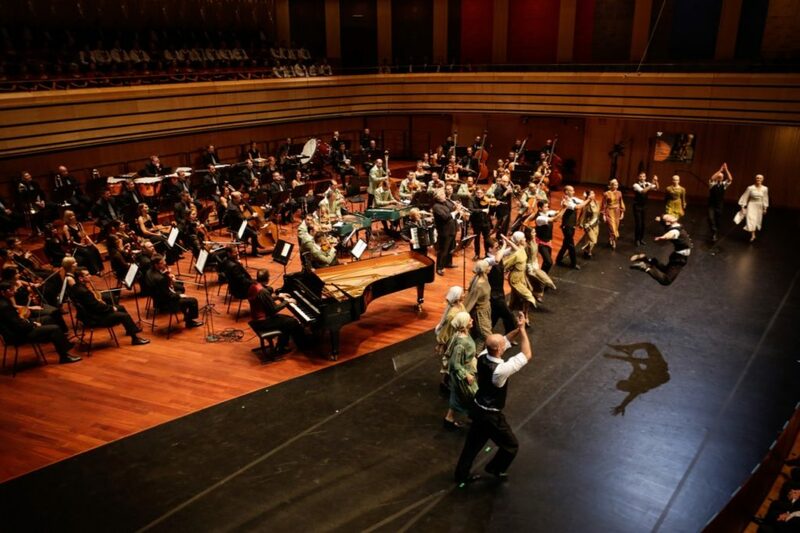 The Duna Art Ensemble and Rajko Orchestra have presented “Kállai kettős” at MÜPA (Palace of Arts). 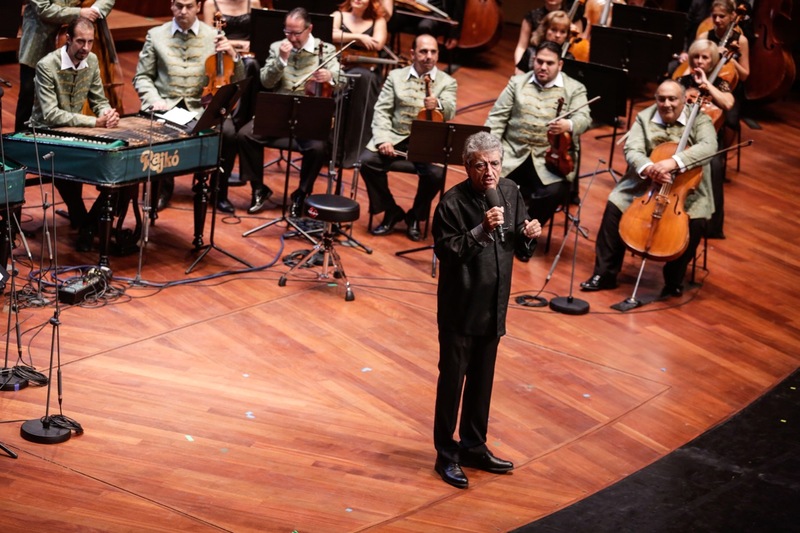 Rajko Orchestra has presented almost 10,000 performances in 116 countries, on all continents of the world, we have even played in the Vatican in these 65 years. 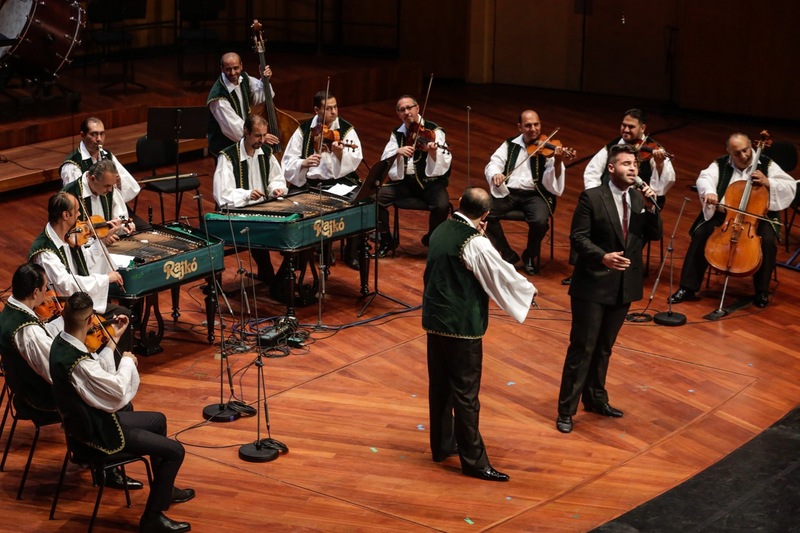 Our orchestra’s music fascinated those more than 10 million listeners, who have been curious to listen to the values and traditions of Hungarian gypsy music played at wide variety of places from the most famous concert halls to the smallest scenes in the world. We have been recurrent visitors in different countries of Europe, America or Asia, i.e. new generations are also interested in the pieces gypsy musicians play, their instrumentation, sound environment and its distinct and unmistakeable temperament. 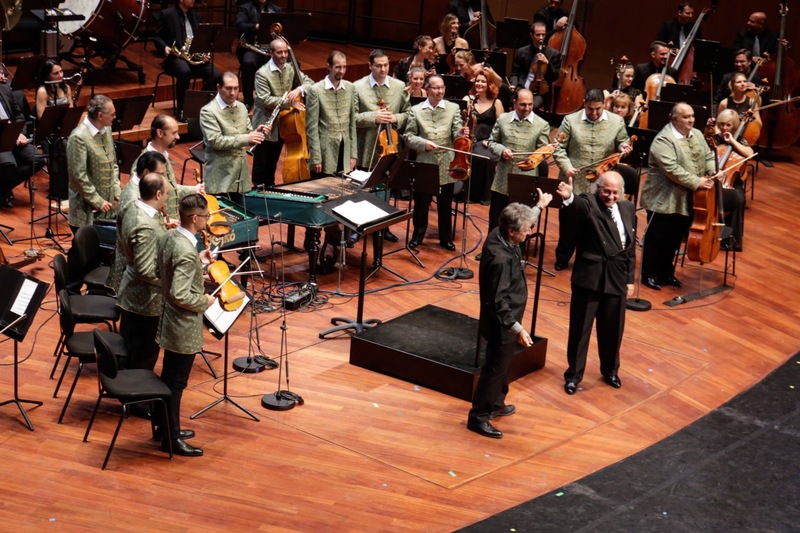 Some of our musicians have been playing together for 10, some even for 20 years, they know each other’s thoughts, feelings and having long hours’ of rehearsals, finally they accomplish what they set out to reach the music represented by Rajko Orchestra only. 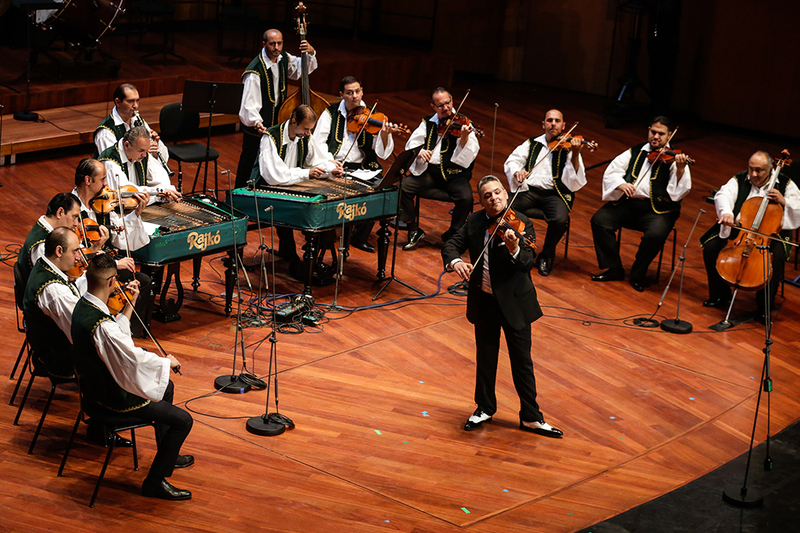 Besides reaching the recognition of the audience, it is highly important for us is that the Orchestra and its members were awarded Zoltán Kodály Public Education Award for our outstanding music activity by Pro Renovada Cultura Hungariae Foundation in January 2003. 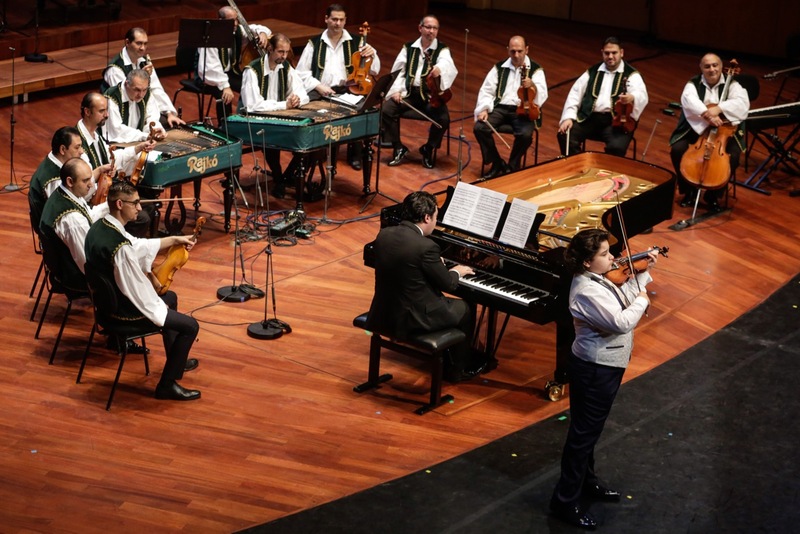 We received this prize for preserving Roma and Hungarian music culture and educating young talented musicians. 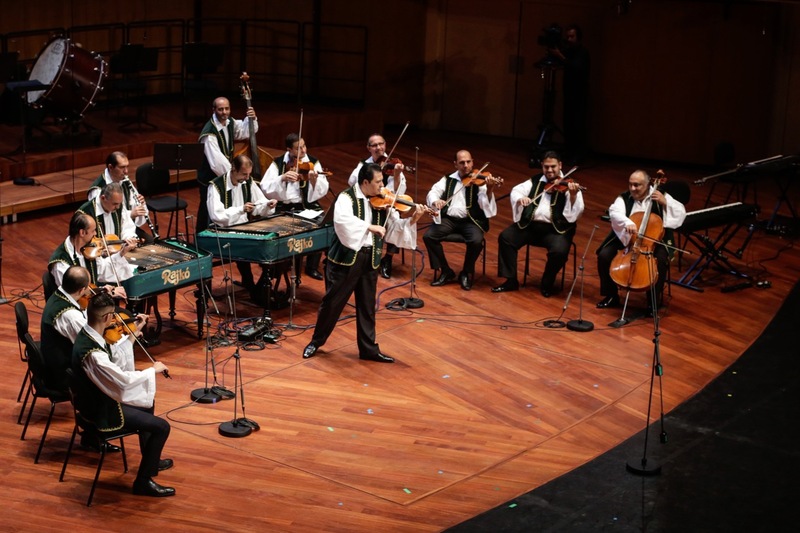 In 2004, the Minister of Cultural Heritage of Hungary awarded the “National Youth Orchestra” title to the Orchestra, an award that no other gypsy orchestra has ever received in Hungary. In 2007 and 2008, several members of the Orchestra received Cross of the Order of Merit of the Hungarian Republic. In 2008, we were awarded the Regional Prima Prize of Middle Hungary by VOSZ (National Association of Entrepreneurs and Employers). 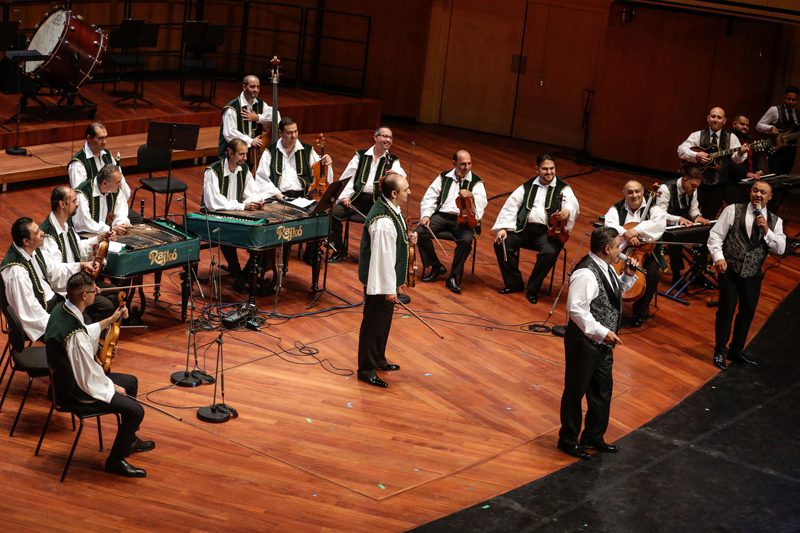 In 2012, Budapest General Assembly gave For Budapest Award to the members of Rajko Orchestra, in 2014 we were recognised as Budapest Brand. In 2016, Rajko method, i.e. 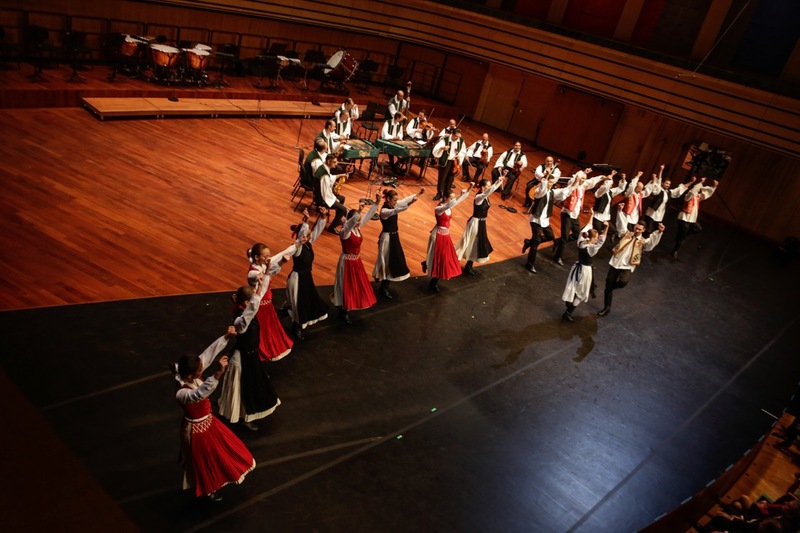 training and educating talented Roma children from basics to becoming a stage artist was added to the National Inventory of Intangible Cultural Heritage in Hungary. The art director of the orchestra is Suki András, its director is Gerendási István. 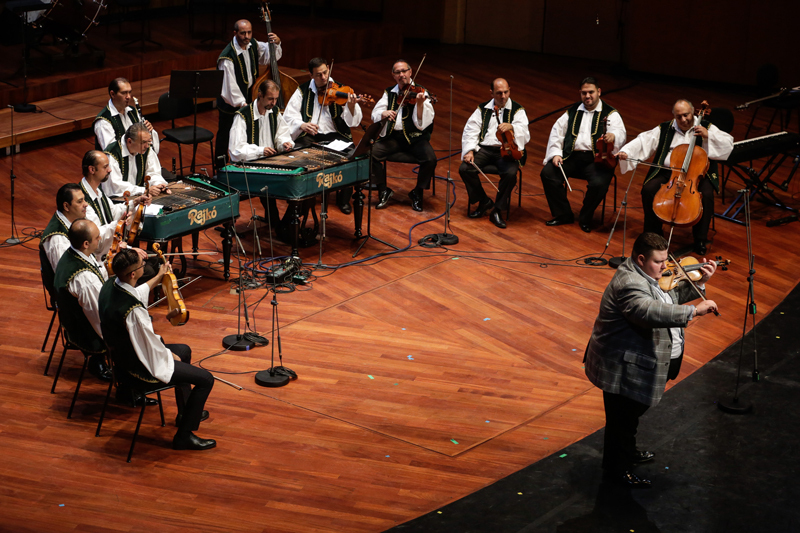 Rajko Orchestra is “the Ambassador of Hungarian culture”.